"Over the past 4 years of working with the Brodericks team on various projects the service has never failed to be top drawer. They have the ability to react to an ever changing environment by being innovative and pushing the boundaries with their product and offer. Every time I have thrown them a challenge it has been met with the same enthusiasm to just get it right and a drive to be the best." 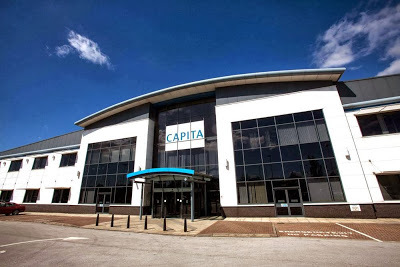 As the UK’s leading provider of business process management and integrated professional support service solutions, Capita employs a team of thousands. With no single vending provider, before Broderick’s came on board vending solutions were inconsistent from site to site. The machine park was from various manufacturers and there was no alignment of pricing or ranges of drinks and snacks. Servicing major clients including Marks and Spencer, William Hill and British Gas, Capita needed a more professional approach that aligns with their market leading reputation. Enter Broderick’s with a change plan to ensure consistency across each branch. Installing a high performance, uniform vending estate throughout Capita’s branches, the team complemented this with good looking branding and a varied range of drinks and snacks to avoid menu fatigue. Ideal for promoting healthier workplaces, Broderick’s has introduced Better for You ranges as well as boosting the stock of each region’s best performing brands: such as Vimto in Manchester. Engaging with the office teams is high on the agenda, and Broderick’s tackles this with a calendar of promotional activity throughout the year, including on-pack and on-screen promotions. With the latest payment methods, including Apple Pay, it’s easier and more convenient for teams to take a refreshment break. The devil is in the detail...and the smooth running of the account is in the service. Broderick’s has considered everything for Capita, right down to getting the right cup. With a first line fast response to all service calls, as well as weekend and bank holiday cover – Broderick’s really does offer an around the clock service.